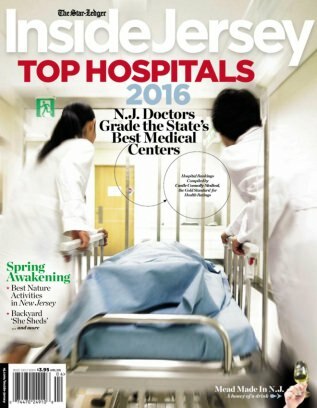 August 11, 2016–The Star Ledger’s Inside Jersey magazine released its Top Hospitals 2016 rankings in April in which it recognized Englewood Hospital and Medical Center as a healthcare leader among large hospitals. Englewood Hospital was ranked among the top 10 large hospitals in New Jersey for overall care and in seven specialty areas: stroke, bypass surgery, hip and knee repairs, congestive heart failure, high-risk pregnancies, neurological disorders, and pain management. The magazine partnered with Castle Connolly, a leading health care research firm in which New Jersey physicians graded the state’s best hospitals. Inside Jersey also partnered with IPRO, an independent not-for-profit health care consulting organization, to identify the best hospitals based on patient experience ratings for overall satisfaction, communication, and cleanliness. Based on that criteria, Englewood Hospital ranked among the top 10 large hospitals in all areas.